A few eyebrows may rise when travellers say they’re going to Rio de Janeiro alone. There is no smoke without fire, but international press largely exaggerates the dangers in this city and travelling solo here is not as hard as it seems. With samba-charged nights and captivating natural wonders, Rio will be an unforgettable trip. Here’s our guide to doing it solo. Entering the spotlight as a tourist hotspot in the 1940s, it still remains one of the most famous neighbourhoods in Rio. Here is the place to make the most of your holiday reads by basking in the sun on the beach and delving into a book. 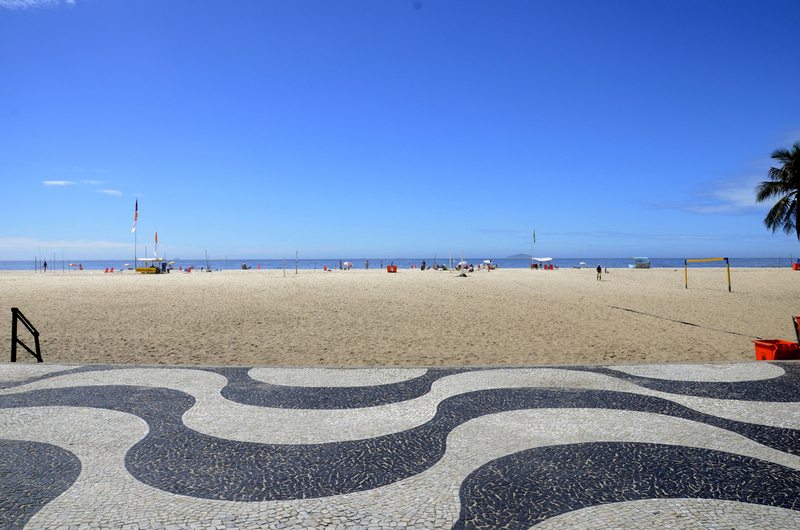 Take a wander along Copacabana‘s trademark wavy-striped promenade and check out the handcrafts and beach towels for sale. Dabble in stand-up paddle boarding and keep an eye out for fish and turtles before heading to one of the fancy restaurants along the beach to enjoy fresh seafood and admire the view from the outdoor seating. The bohemian-chic of Santa Teresa is readily apparent and the relaxed, carefree pace of life is thick in the air. The gems of this neighbourhood are tucked away and best explored by simply strolling around, dipping into the open art studios of Santa’s locals and admiring handmade jewellery stores. Just be careful not to enter the favelas in this area. A recent wave of internal instability and violence has questioned their security and it is best to avoid them. The trendy newcomer, Ipanema is the neighbourhood of the moment. Stealing the limelight with its stunning beaches, great surfing and numerous hip bars and restaurants, it is a place where the young, tanned and carefree hang out. 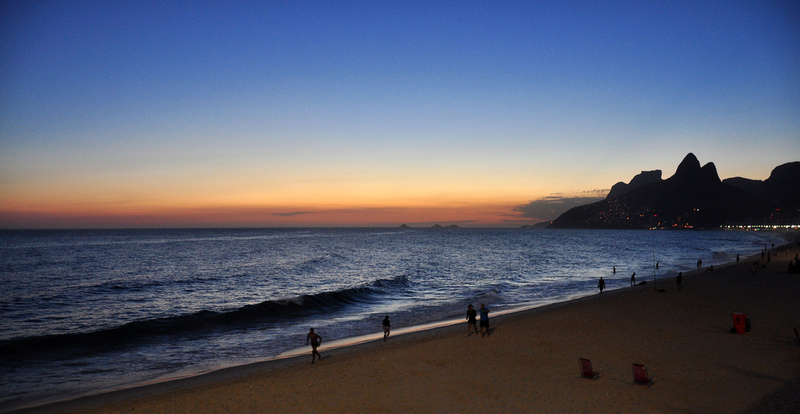 In the evening, head to Arpoador to watch one of Rio’s best sunsets before going to Canastra, a relatively new bar that sells only Brazilian wines. Try the rosé, whose refreshing and smooth taste is always popular with the large crowds that head there every day. During the day, Centro is the cultural hub of Rio with plenty of museums, artwork, and architecture. Be sure to check out the Museum of Tomorrow and the street mural by Eduardo Kobra, the largest mural in the world of its kind. Pass some time wandering down Avenida Rio Branco for a mini shopping spree. Later in the evening, head over to Lapa to immerse yourself in a samba-fuelled night and party until the sun comes up with an equal mix of Brazilians and tourists. 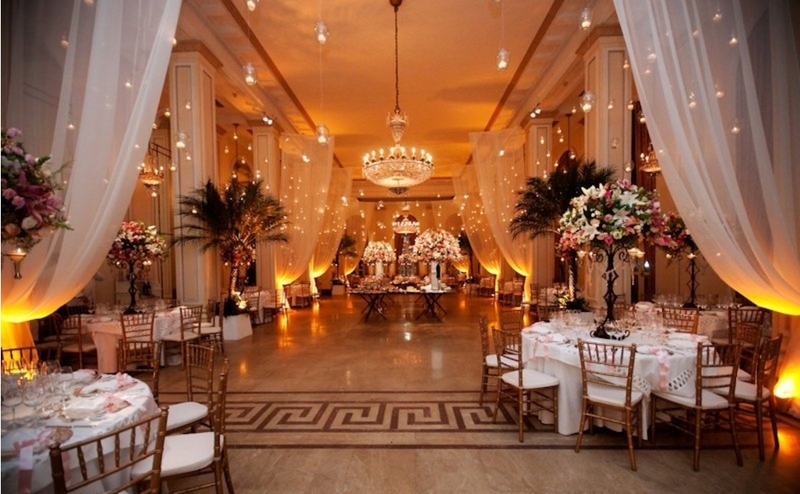 Gleaming marble floors and extravagant chandeliers hint at the luxury of the famous hotel that has catered for guests such as Madonna and the Rolling Stones. Spacious bedrooms, a Michelin-star restaurant and impeccable service are all part of the package at the Copacabana Palace. Prices start from BRL1100 (USD$345) a night. For solo travellers looking to meet fellow tourists and backpackers, Che Lagarto is a good option. Prices for a mixed dorm are reasonable and the location in Ipanema on the border of Leblon is ideal with the beach, bars, restaurants and transport links all nearby. The daily Happy Hour of free caipirinhas among hostel guests is a great way to get to know other people. Prices start from BRL72 (USD$23) per night. Located in the heart of Ipanema, this lively hostel also has a swimming pool in the garden for those lazy mornings and is a great place to strike up conversation with other travellers. There is a strong international crowd at Beach House Ipanema and the optional activities there provide good mingling opportunities. Prices start from BRL50 (USD$16) a night. The classic tourist attractions such as Christ the Redeemer and the Sugarloaf mountain are a must for anyone’s visit to Rio. In addition to these famous landmarks, be sure to check out some of the following to get to know a different side of Rio. Pass a pleasant afternoon wandering around the 7.2 kilometer cycle path that encircles Lagoa Rodrigo de Freitas, a beautiful lake in the south zone of Rio. Bike hire by the hour or per day is available starting from about BRL9 (USD$3) per hour and offers an alternative to walking around the lake. Keep an eye out for wild capybaras and stop in at Palaphita Kitch, an Amazonian-style outdoor lounge bar, to drink one of their native-fruit caipirinhas and watch the spectacular sunset. In a city famous for its wonderful coastlines, spending the day at the beach is a must. The most tourist-y ones are Copacabana and Ipanema, but head over to the beaches of Barra da Tijuca or the ones near Recreio such as Prainha to escape the tourist trap. There are several sporty activities to try out such as surfing, football or beach volleyball, or simply relax, work on your tan lines and enjoy the cosmopolitan beach life. Home to an extraordinary collection of some of Brazil’s most rarest and exotic plants, Jardim Botanico is a large open garden that offers a glimpse into the Brazilian wilderness. There are also important research centers on site that have eclectic samples of insects and flowers. Check out the Tom Jobim cultural center to delve into this notable musician’s world and head over to La Bicyclette for a light, French-style lunch and a glass of house wine. Depending on how long your trip is, there are several nearby spots just outside of Rio that each have their own definition of paradise. Ilha Grande is an island with crystal clear waters and a popular diving spot. 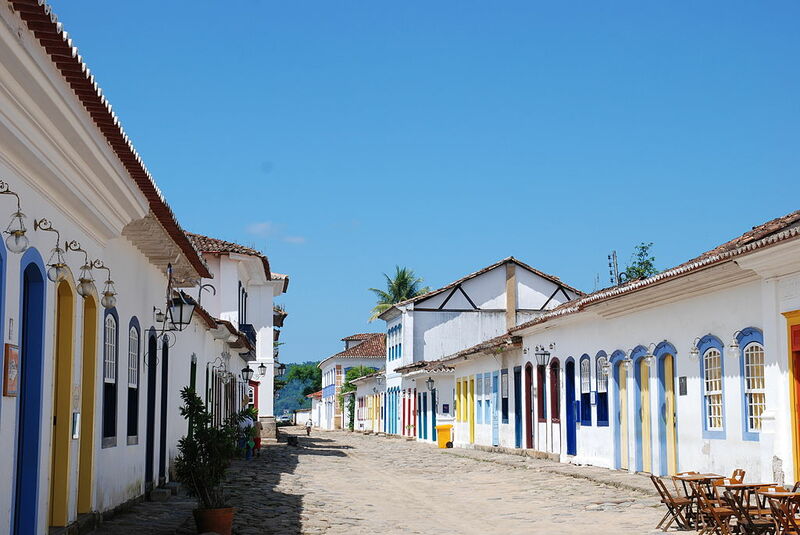 Paraty is an old colonial town, its charm exuding from the quiet, cobbled streets and white buildings with brightly colored door and window frames. Head to Petropolis to explore the Bohemian beer factory, one of the highest selling Brazilian beers in the country or party in Buzios, a stunning beachside town with a thriving nightlife. For the perfect start to the day, go to Confeitaria Colombo at Forte de Copacabana, the military fort at the end of the Copacabana beach. The breakfast includes juice, coffee, breads, ham, cheese, and fruit with a backdrop over the long, curving beach and ocean views. For about BRL126 (USD$40), Fogo do Chão offers an all-you-can-eat classic Brazilian barbecue buffet with some of the country’s best meat. Waiters walk around from table to table with large skewers of picanha, lamb, chicken and other beef cuts that diners can choose from. There is also a large salad bar buffet to tuck into if you’re looking for some roughage to pair with your protein. 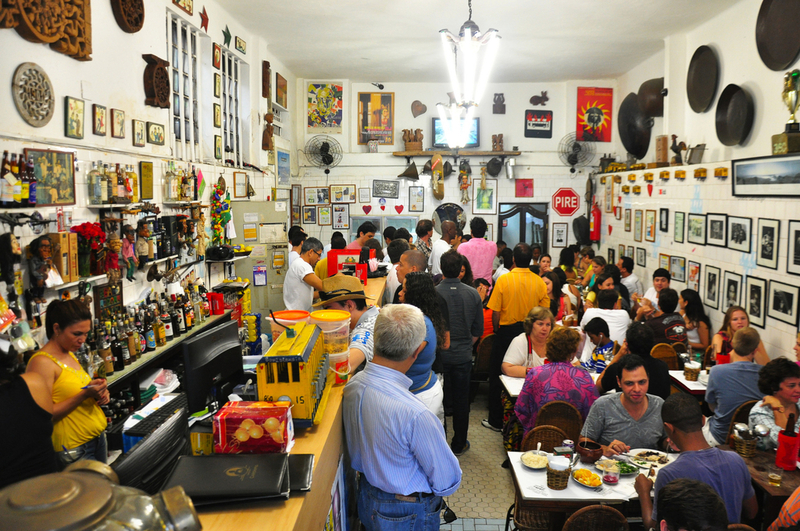 This lively and friendly venue is in the heart of the artistic hub of Santa Teresa, its decorations of black and white photos and colorful paintings creating a homey ambience. Go to enjoy the generous portions of their hearty feijoada, a Brazilian bean stew, and wash it down with their many choices of cachaça. Go to the local organic fairs dotted throughout the city on various days throughout the week. The pastels here show that sometimes the best pleasures are often in the simplest of things. One of Brazil’s most traditional foods, the pastel is deep fried pastry with cheese or meat filling served with a chilled cup of sugarcane juice. It’s a cheap, tasty and easy breakfast or snack option, loaded with calories to keep you going for a few hours. The coach runs every 20 – 30 minutes and stops at all the major points such as Copacabana, Ipanema and Leblon. Have your address written down and show the driver – they will be able to drop you off at the right point. It costs about BRL$13 (USD$5). Tip: take a jumper on board as sometimes the air conditioning is set on full blast, making the bus journey extremely uncomfortable. There are two types of taxis. The pre-paid taxi is a safe option although it is more expensive (BLR90 or USD$29). Pay at the airport before leaving and the taxi will take you straight to your address. The other option is a regular taxi which should not cost any more than BRL70 (USD$22). The majority of taxi drivers are honest people earning a living, yet some take advantage of tourists by taking a longer route to charge extra. Make sure the meter is set to 1 during the day (off-peak prices) otherwise the fare will be much higher. The meter is set to 2 (peak hour prices) in the evenings, nights, holidays, Sundays and all of December. 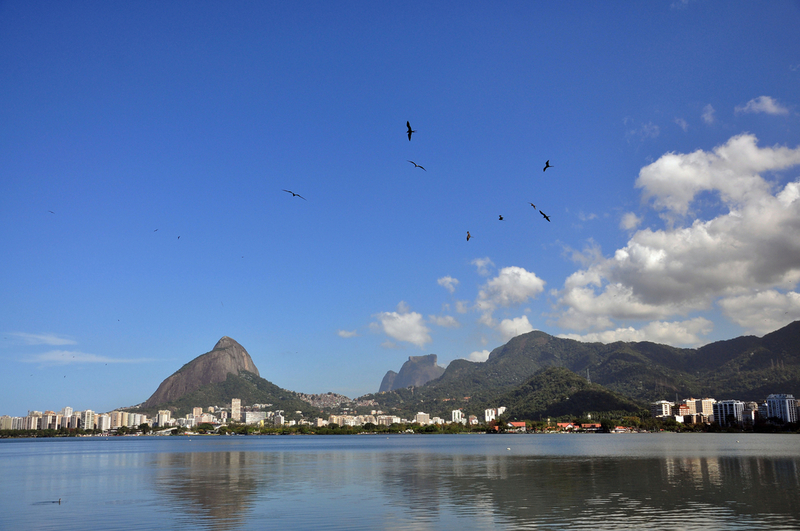 The metro can take you to most of the tourist hotspots in Rio. There are three lines: the orange line that covers all of the south zone and the city center; the green line that covers the north zone; and the yellow line that goes to Barra da Tijuca. 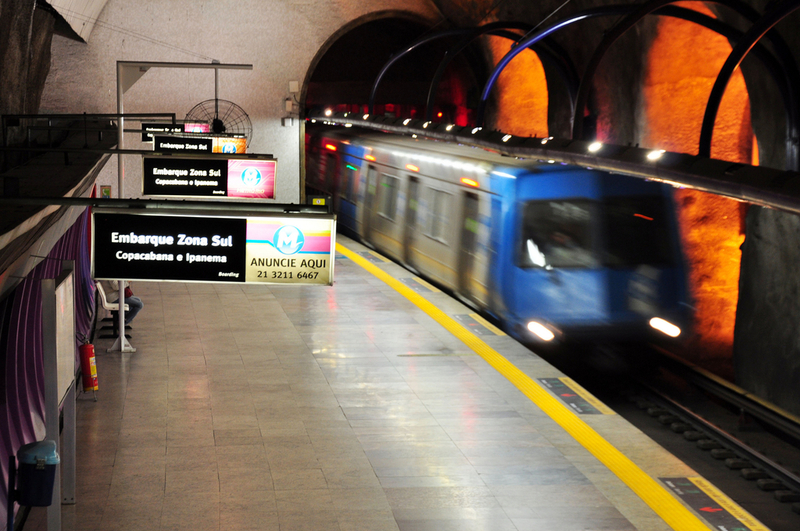 A one way metro ticket costs BRL4.10 (USD$1.31). The bus routes are a little confusing at times, even for locals. Plan your journey on Google maps before heading out to an unknown place. A one way bus ticket costs BRL3.80 (USD$1.22). Many places have filtered water but double check before drinking water from the tap. Robberies and muggings do occur but are rarely violent against tourists. If you are approached and asked to give your phone or bag, do so. Weapons are often concealed so always assume they have one. Many criminals live outside the law and are not afraid to use knives or guns; avoid confrontation, cooperate and it’s extremely unlikely you will get hurt. Take care not to walk alone at night, especially for women, and pay attention in favelas as many treat strangers with suspicion which can have fatal consequences. The safest ones are Vidigal and Rocinha that are accustomed to foreigners and thus fine to visit. Most of all, don’t let these precautions taint your trip – Rio is a fantastic, vibrant city and most tourists enjoy it with no problems at all.